The open call for the first fifteen Making Places sites has now closed. We’ll be announcing more sites later in the year, so check back for updates. We’ll be inviting artists and creative practitioners with an interest in working in the public realm to propose ideas to transform sites nominated by the residents of Waltham Forest. Proposals of up to £40,000 per site will be considered and the winning commissions will be installed throughout 2018. Projects will need to have a minimum lifespan of five years and require minimal or low-cost maintenance. The open call, managed in partnership with Create London will be for artists, architects, designers, landscape gardeners, collectives and creative practitioners from anywhere in the UK to propose an idea for one or more of the nominated sites with a long-term physical installation or intervention. Ideas might include: lighting installations, growing spaces, sculptures, play equipment, outdoor furniture or other interventions which will revitalise and improve the site and surrounding area. Unfortunately due to the volume of submissions received through the first open call, we'll be unable to provide feedback on individual proposals. If you'd like to be kept informed about the next open call, please register your interest. This section of the site is updated regularly with new questions and answers that we receive from practitioners, so check for updates. How can I find out more about the sites? The sites can all be viewed on the Chosen Sites page. Please email opencalll@makingplaces.co.uk with any questions you have. Where appropriate, questions will be shared publicly by being added to this list. The sites can be viewed on the Chosen Sites page. The Site Information PDF includes background information, photos and resident feedback and is downloadable from this page. Will applicants be responsible for the delivery of their installation/project? Yes. Artists/practitioners will be paid the full cost of the project, according to a payment schedule agreed in advance and will be responsible for paying and managing all contractors and external consultants. In the case of joint-proposals, one person will be asked to be the lead project manager, and responsible for all payments. Once selected, successful applicants will be asked to provide a detailed project plan and schedule of delivery. The plan will be mutually agreed and dependent on the nature of the project. What degree of delivery support is offered by Waltham Forest Council? Successful projects will be agreed by various departments within the Council. 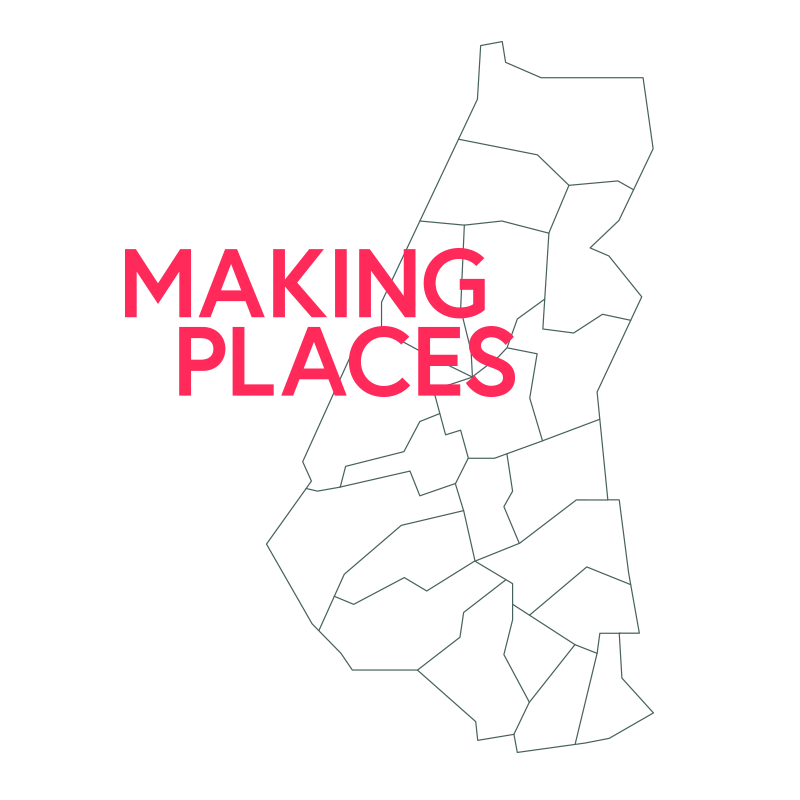 The Making Places team will oversee the delivery of all projects, and provide support to artists by mananging internal stakeholders, obtaining clarity on whether planning permission, facilitating community engagement and in other ways as required. What approvals are necessary for my contractors to do the work? Detailed plans, including proposed materials and final design will need to be submitted and approved by the Council. Risk assessments and method statements will need to be presented and approved before any construction can take place on sites. The sites have been nominated by local residents, can we consult with these residents? If residents have left comments or suggestions for particular sites, these have been made available to applicants in the Site Information PDF. Applicants are welcome to consult with residents prior to the close of the Open Call, but the Council will not be able to support this process. Once successful applicants have been selected and the projects have started, the Council will be able to facilitate consultation with residents and key stakeholders in the community if required. When successful projects are awarded, a maintenance plan will be mutually agreed by the practitioner and the Council. This will vary for different projects and will be dependent upon resident and community involvement, the location of the project and expected usage. We are expecting projects to last for a minimum of five years and so we expect the selected materials to reflect this. For example, materials should be durable, weather resistant and fire resistant, if applicable. All projects should be designed to be low maintenance. When will projects be installed? Installation will be staggered throughout 2018 with at least four projects installed before April 2018. Can I apply for more than one site? Yes – applicants are able to submit multiple proposals, but a maximum of four projects will be awarded to any one organisation, individual or collective. Will we be required to cash-flow our project or will all projects be paid in advance? We do not expect applicants to have to cash-flow the projects, but due to financial procedures at the Council, you will need to follow an agreed timeline for invoicing to ensure your payments arrive on time. A payment schedule will be agreed before the contract is awarded. Successful applicants will be expected to submit monitoring and evaluation data, this will include regular progress updates. There will also be meetings with the Making Places team at the start, mid-point and end of projects. A project reporting plan will be agreed for each project, once it has been awarded to the successful practitioner. Successful practitioners will also be required to submit information on expenditure. Are we responsible for publicity? The Council will lead on all publicity, although you are welcome to feed into this according to marketing guidelines which will be provided. Artists will retain copyright of their artworks, but will be asked to sign a usage agreement for the artwork to be displayed and used for promotional and marketing purposes in relation to Making Places (including press and online use). Our idea costs more than £40,000 can we bring match-funding/fundraise for the rest? Yes you’re able to raise additional funding towards the project from other sources, such as sponsorship or grants. However you would still be required to present a proposal for a project that can be delivered within the £40,000 budget in the event that you are not successful in securing additional funding to enhance your proposed idea.